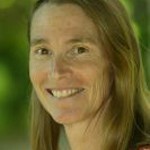 Cheryl Palm is a Senior Research Scientist and Director of Research in the AgCenter. A tropical ecologist and biogeochemist, Dr. Palm’s research focuses on land use change, degradation and rehabilitation, and ecosystem processes in tropical agricultural landscapes. She led a major effort quantifying carbon stocks, losses and net greenhouse gas emissions following slash and burn and alternative land use systems in the humid tropics in the Brazilian and Peruvian Amazon, Indonesia and the Congo Basin. She has spent much of the past 15 years investigating soil nutrient dynamics in farming systems of Africa, including options for soil and land rehabilitation. 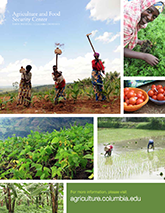 Her most recent work investigates the tradeoffs and synergies among agricultural intensification strategies, the environment, and rural livelihoods. She is Deputy Director of Vital Signs Africa, a new project developing and implementing integrated monitoring systems in agricultural landscapes. Dr. Palm received her Ph.D. in soil science from North Carolina State University after completing her Bachelor’s and Master’s degrees in zoology at the University of California, Davis. She served as Principal Research Scientist of the Tropical Soil Biology and Fertility Program in Nairobi, Kenya from 1991-2001. She has served on the faculties of North Carolina State University, Colorado State University and spent a year as visiting scientist at the University of California, Berkeley. She a Fellow of the American Society of Agronomists and served as chair of the International Nitrogen Initiative (INI) from 2008 to 2011.